Isnâ€™t that a Swoop, which has been around since Shadows Of The Empire? 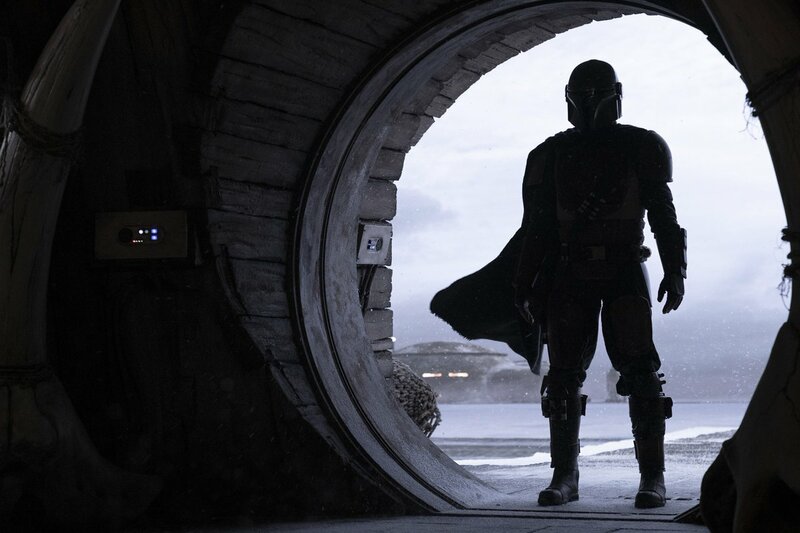 Okayâ€¦ after seeing the panel, hearing about the Akira Kurosawa, Sergio Leone, Clint Eastwood influences and seeing some stills of the charactersâ€¦ this is hands down the most exciting thing about Star Wars easily. This show seems to tick every box for me. Itâ€™s going to be a long wait till November. Someone uploaded footage of the sizzle reel on YouTube. Not going to post a link, and it probably wonâ€™t be up for long, but it does look amazing. 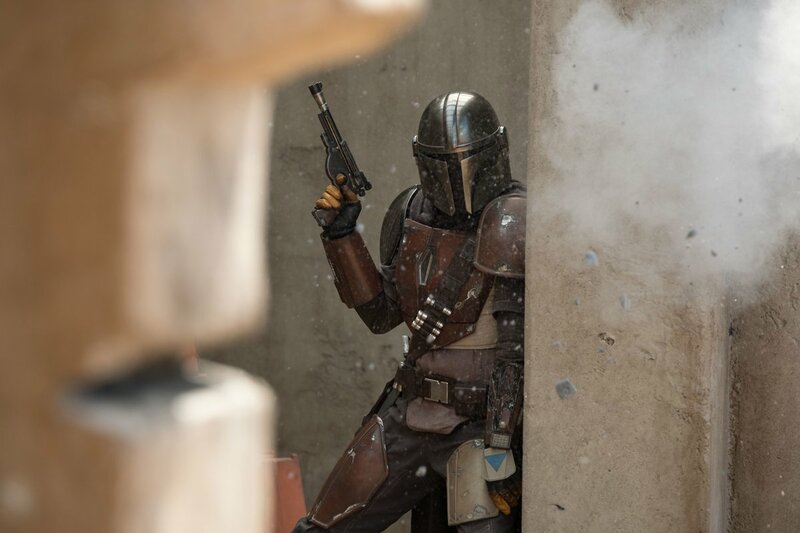 Has a very Rogue One feel to it, but with a clear Sergio Leone Western feel added to it as well. Hopefully theyâ€™ll officially upload the video soon, but Iâ€™m guessing theyâ€™re waiting for the Ep. IX hype to die down a bit first. Howâ€™d he get a hold of a trailer? I though the conventions only showed sizzle reels, set photos, etc. Also, youâ€™d think a relatively well know YouTuber would have more common sense than that. EDIT: Just looked up his YT page. Its so strange to me when someone whoâ€™s so negative towards the new SW still bothers to spend time and money going to Star Wars Celebration and even uploads footage from all the panels (incl. Ep.IX). Howâ€™d he get a hold of a trailer? I though the conventions only showed sizzle reels, set photos, etc. Also, youâ€™d think a relatively well know YouTuber would have more common sense than that. Some of his highlights on his channel from the celebration are Kathleen Kennedy Suddenly has a plan & also Interview - Trump Supporter at StarWars Celebration. Seriously the guys a joke. Itâ€™s too bad that YT is structured in such a way that hyperbole and clickbait tends to get the most views. Thereâ€™s only a very small handful of SW YouTubers that I can take seriously. Yes, so excited for this. Honestly Iâ€™m more excited for this than Episode IX, as Iâ€™ve been enjoying the non-main saga stuff more. Bring this on! I wonder if theyâ€™ll do some sort of one night theatrical screening event of the premiere to promote this? Very impressed by what I saw from the sizzle reel and the extended Werner Herzog sequences. When I first heard about potential live action Star Wars for TV back in the Lucas era I was anticipating heavy use of green screen and a teen cast. Thankfully (from my POV at least) this looks like it skews older and is far grittier and more practical based than I could have hoped. Pedro Pascal looks great as the lead, and said all the right things in the panel. One curiosity is how much he physically resembles Diego Luna as Cassian Andor (who has his own series in the works too), it looked on set like he was rocking the little tache that they both have too! Highly recommend anyone interested to check out the panel. 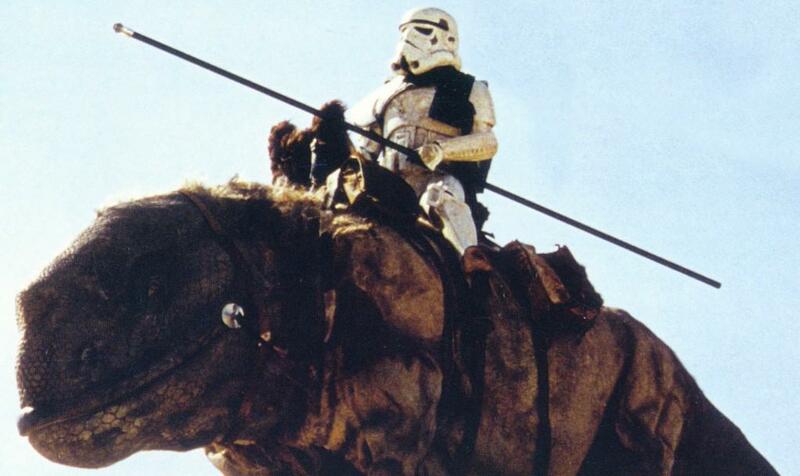 Jon Favreau and Dave Filoni LOVE Star Wars and have put their hearts and souls into it. Not only that, one of Favreauâ€™s goals was to try to appeal to every kind of Star Wars fan so heâ€™s put in as much stuff from the last 40 years of Star Wars into it as he could. He specifically called out that heâ€™s recanonized a ton of EU material in the series. My personal favorite thing that Iâ€™ve seen so far from the series are the Blurrgs which originally appeared in the Ewok movie Battle For Endor! But thereâ€™s so much more in there. 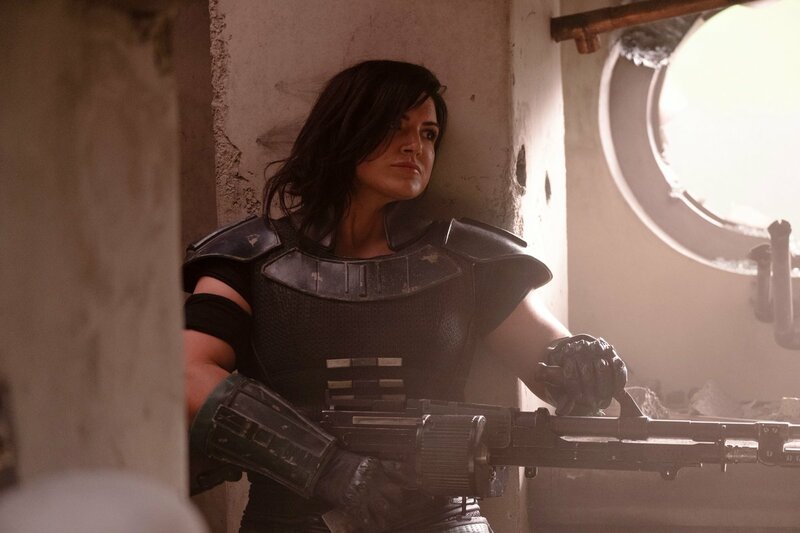 I was just about to say â€œSurely there was a trailer at Celebration and why isnâ€™t it up on the official youtube channel yet?â€� But yeah, as others have said, makes more sense to wait until that teaser for IX has been out there for a little while. 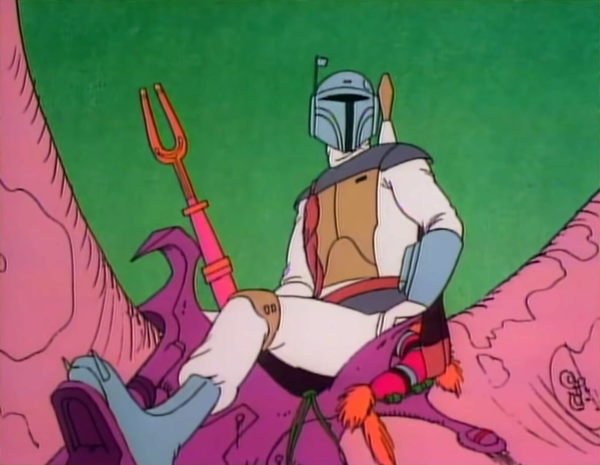 Favreau posted a photo a while back with the sound-fork thing, but the sizzle reel showed â€œThe Mandalorianâ€� riding a Dewback in a similar pose to the cartoon. The special FX of the green screen has taken that movie spark away from movies so hearing some the FX guys working in there garage creating real models equipment for this is what A New Hope was made of. Bringing back the art and not a cold product. 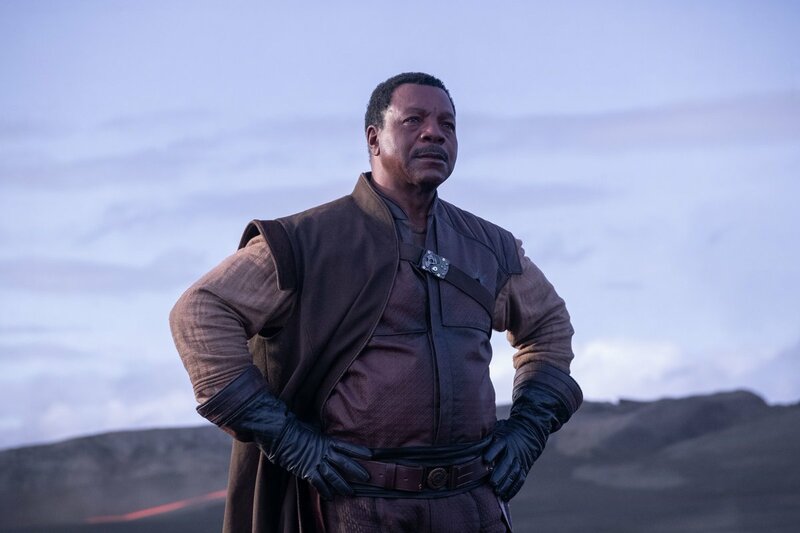 This series is going to be packed with all kinds of references given this and things like Favreau posting a picture of the ESB ice cream maker on his instagram. Iâ€™m more excited for this than anything Star Wars in a long time. Well done Dave and Jon! Itâ€™s really cool that weâ€™re finally getting SW TV, and seeing that model work is awesome. I just hope they keep the promise of making this truly a western (whereas the two spin-offs films so far have promised other genres but only done so halfheartedly).